The only difference between the Friday massacre of Muslims at two mosques in Christchurch and the 2017 massacre of Muslims in a Quebec City mosque is one of scale. 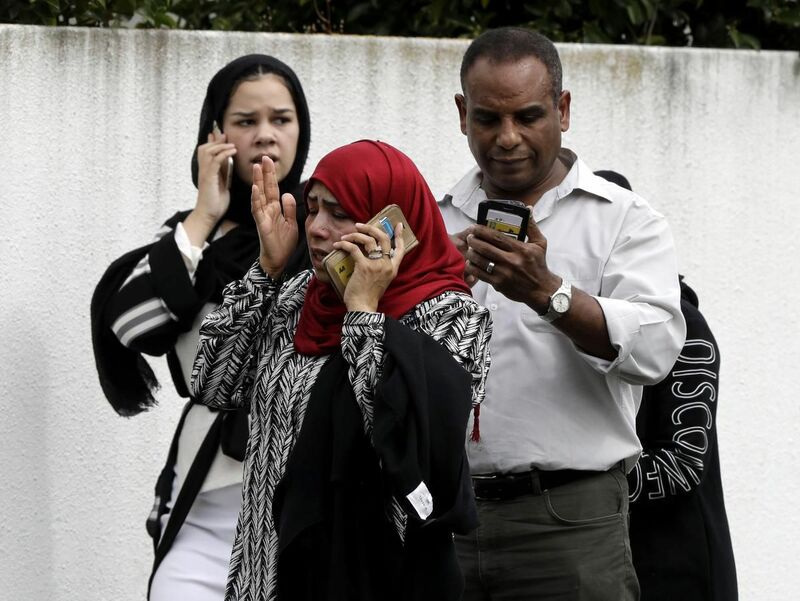 In New Zealand, 49 killed and at least 48 injured. In Canada, six killed and 19 injured. The Islamophobia at work is the same. The hatred is also not much different than the anti-Semitic animus of the gunman who murdered 11 people and wounded six at a synagogue in Pittsburgh last year. Islamophobia and anti-Semitism can be two sides of the same coin. Jews used to be routinely accused of being incapable of integration in the Christian West. Now Muslims are. Jews have too much influence — they control the world. Muslims, too, are taking over — sharia is coming. Tropes are never exactly the same. But they are similar enough for us to pay heed. We must curb hatred against all groups to keep our collective civic equilibrium. Wars waged on battlefields in faraway lands necessitated propaganda wars in the West to keep public opinion onside. Demonization of Muslims there soon deteriorated into cultural warfare on Muslims across the West. Anti-Muslim bigotry slowly entered the mainstream. Right-wing parties traded their anti-Semitism for Islamophobia. In Europe, euphemistic attacks on Islam and Muslims — couched in anti-immigrant, anti-multiculturalism rhetoric — became more daring and direct. In the United States, the Republican party followed suit, gliding effortlessly from its anti-Black, anti-Latino racism into demonizing Muslims and Islam. Donald Trump was only its most brazen, shameless incarnation. Canada has not been immune. If more than half of American states took legislative and administrative steps against sharia, Ontario had its own shariahysteria in 2004-05. If peddling Islamophobia was a business model for Fox News and right-wing tabloids, some versions of it cropped up in Canada as well. In 2007-08, Quebec had the “reasonable accommodation” crisis — totally “irrational,” in the words of the Bouchard-Taylor Commission. By 2013, a poll showed a third of Canadians thought that Muslims — a besieged, beleaguered community — had too much power. And, sure enough, 32 per cent of Quebecers also thought that Jews had too much influence. Then came the Parti Québécois government’s Charter of Quebec Values, aimed mostly at Muslims. But what Pauline Marois was proposing for Quebec, Stephen Harper was already doing across Canada. He was mining, indeed fanning, anti-Muslim prejudice. He was cleverly but not so cleverly doing so in the name of fighting Islamic terrorism — targeting the niqab as well as “barbaric cultural practices,” a.k.a Muslim customs, and keeping the (Muslim, potentially terrorist) Syrian refugees at bay. We comforted ourselves that Canadians turfed out both Marois and Harper and that Sun News Network went under. However, one of the chief architects of Harper’s policy on Muslims, Jason Kenney, has since emerged as leader of the United Conservative Party in Alberta. Another cabinet colleague from those days, Maxime Bernier, has spun off his own federal party to be freer to attack “extreme multiculturalism,” whatever that is. Along the way were the multiple murders in the Quebec City mosque. Alexandre Bissonnette, recently sentenced to 40 years in prison, has been a fan of Trump and also of Marine Le Pen, leader of France’s extreme right, who had brought her anti-Muslim message to Quebec in the months before the murderous spree. Anders Breivik, who killed 77 people in Norway in 2011, thought that Christianity was under siege by Muslims in Europe and that European governments were enablers of multicultural concessions to Muslims. Brenton Tarrant, now charged in Christchurch, is another right-wing, anti-immigrant, anti-Muslim white male. Such people used to be depicted as psychotic lone wolves. Which is true. But they have an ideology, just as Muslim terrorists have an ideology. They are no more representative of Christians and Christianity than Muslim terrorists are of Muslims and Islam. The distinction goes to the heart of how we tackle the various forms of terrorism and how we talk about it — indeed how we conduct policy, at home and abroad. The initial reaction of world leaders to the New Zealand tragedy was instructive. Conservative Leader Andrew Scheer, like President Trump, could not bring himself to use the word Muslim in offering condolences. Only under a public backlash could he bring himself to say some right words. Even the Queen, offering sympathy for “the families and friends of those who have lost their lives” and paying “tribute to the emergency services and volunteers who are providing support to those who have been injured” had no direct words of comfort for the Kiwi Muslims or Muslims the world over. Islamophobia is by no means the only problem in this post-truth age of populist demagoguery. For bigots and racists and misogynists and nativists and xenophobes and anti-Semites, the list of enemies is long. But Muslims and Islam are among their main targets. We need to rediscover our sense of the common good, the old Canadian consensus of drawing red lines against all hate-mongers. That’s what the world expects of Canada and Canadians, still. A former columnist and editorial page editor emeritus at the Star, Haroon Siddiqui is Distinguished Visiting Professor at Ryerson University.